In July-August 2000, late October 2001 and early April 2002, an adult Laughing Gull Larus atricilla was observed at several inland sites in the eastern half of the Netherlands. The same bird was also present in a Black-headed Gull L ridibundus colony c 1 km across the border in Germany at Zwillbrocker Venn, Nordrhein-Westfalen, during the breeding seasons of 2001 and 2002. Here, the bird was ringed in June 2001 (right leg; tarsus: white colour ring, tibia: aluminium ring). These rings confirmed that the Dutch record of October 2001 concerned the same bird. 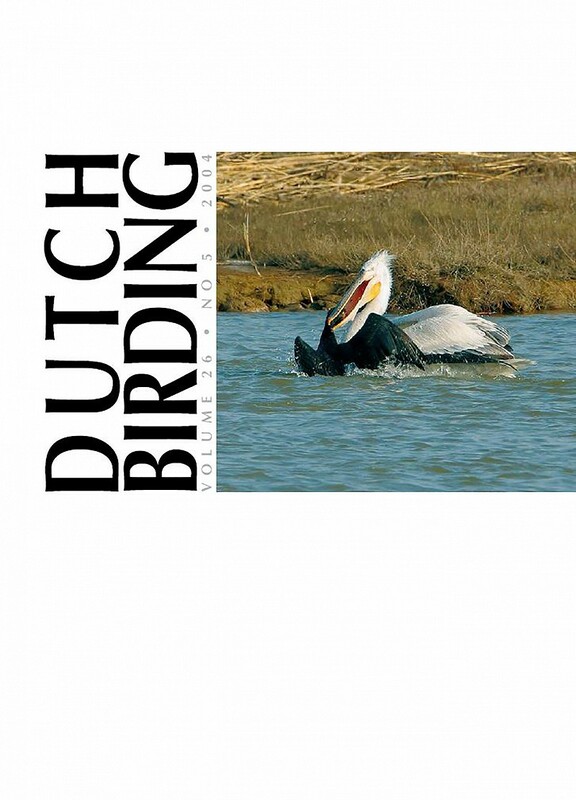 Moreover, because of the (relative) proximity in both space and time, the Dutch rarities committee (CDNA) considers all records to relate to the same bird, which constitutes the third record for both Germany and the Netherlands. The extreme rarity of the species in mainland Europe and the fact that all observations of this individual were well inland have also been taken into account. A case can also be made for the hypothesis that most records of Laughing Gulls in the North Sea area can be attributed to a small number of \'wandering\' birds. This is supported by the relatively high number of summer records of adult birds in north-western Europe. Now that the Dutch/German bird has been colour-ringed, repeat sightings may clarify this aspect of the species\' occurrence in Europe. The first Italian record in January-February 2004 of an adult bird with a metal ring on its right tibia might have concerned the same individual (assuming it had lost its colour ring, which happens occasionally in gulls). Since 1988, a ringed Common Gull Larus canus canus has been regularly observed in and around the city of Groningen, Groningen, the Netherlands. The first observation was on 26 December 1988, followed by sightings in the winters of 1995/96, 1996/97, 2000/01, 2002/03 and 2003/04. So far, the last observation was on 25 March 2004. The bird, presumably a female, was ringed as a nestling on 24 June 1970 on Amager, Sjælland, Denmark, 33 years, nine months and one day before the last sighting. This recovery constitutes the oldest Common Gull for Europe. Other records of old Common Gulls are summarized and a brief comparison is made with longevity in other European gull species. 327 Waarnemingen van zeldzame vogels binnenkort op mobiele telefoon te ontvangen!